Here at Silverdale, we commit to partner with parents on this journey of educating children, and strive to provide an outstanding educational experience that is focused on academic excellence, and the spiritual training and discipleship of our students. We believe all children are created in the image of God, and as a result, we know that children are born with a desire to learn. It is our responsibility as educators to “feed” that hunger by providing a broad curriculum that fosters a love of learning. 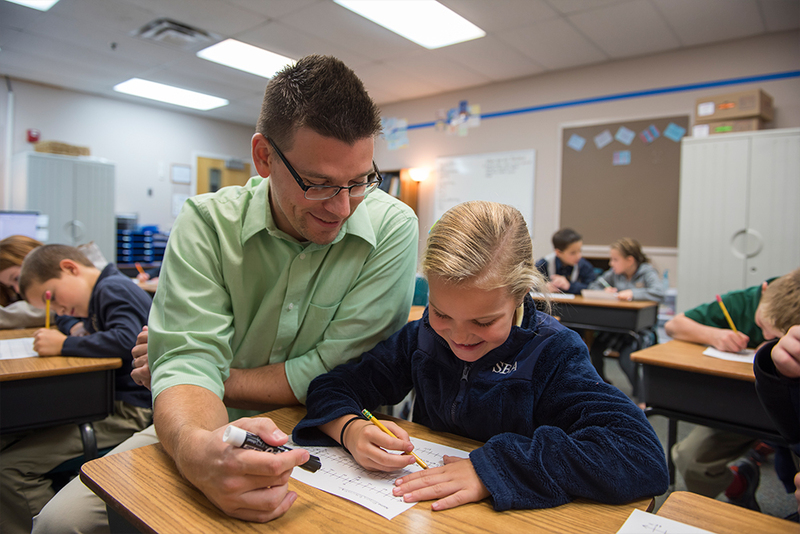 Silverdale has been successfully pursuing this goal by relying on a rigorous, college-preparatory curriculum and by hiring the most outstanding teachers who are experts in the subject-areas they teach. It is here at Silverdale that we prepare our students to be engaged in both heart and mind.